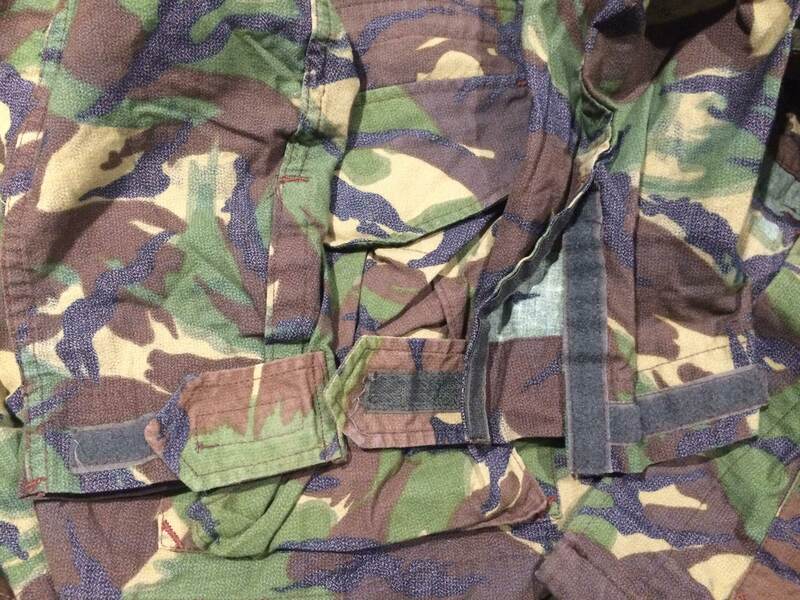 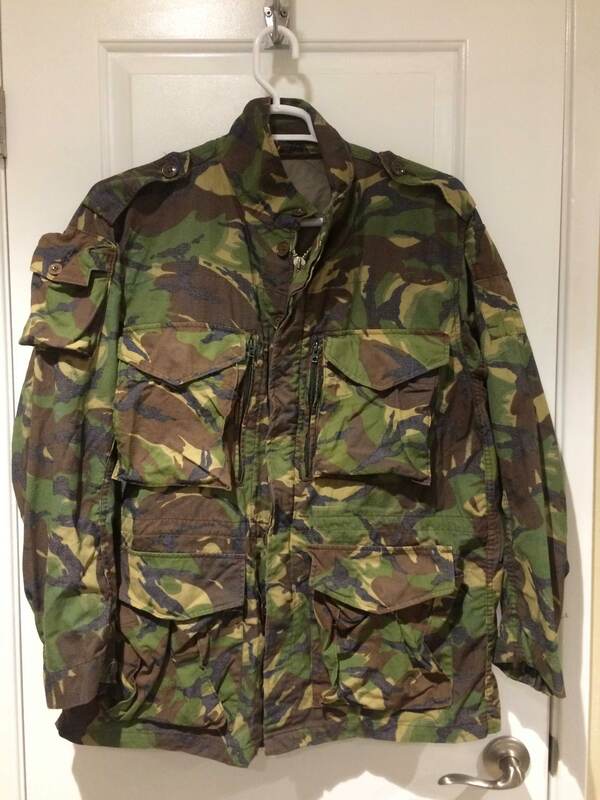 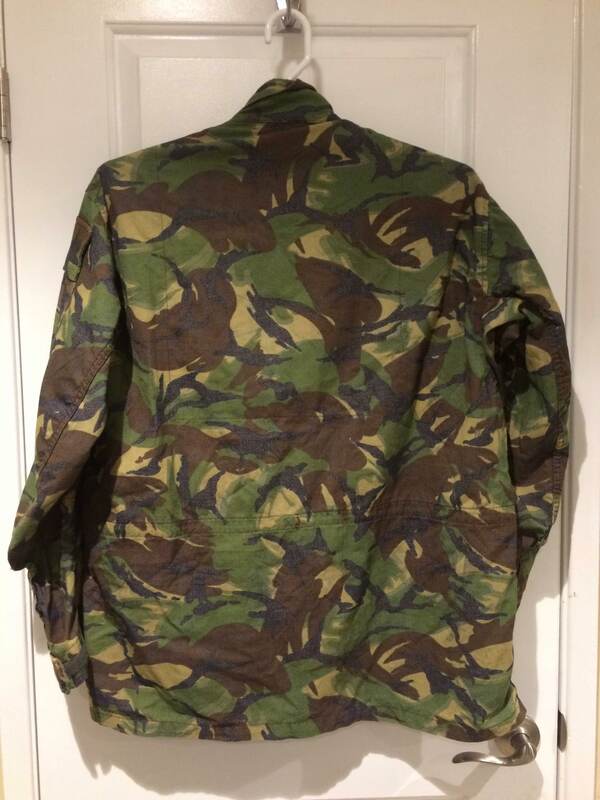 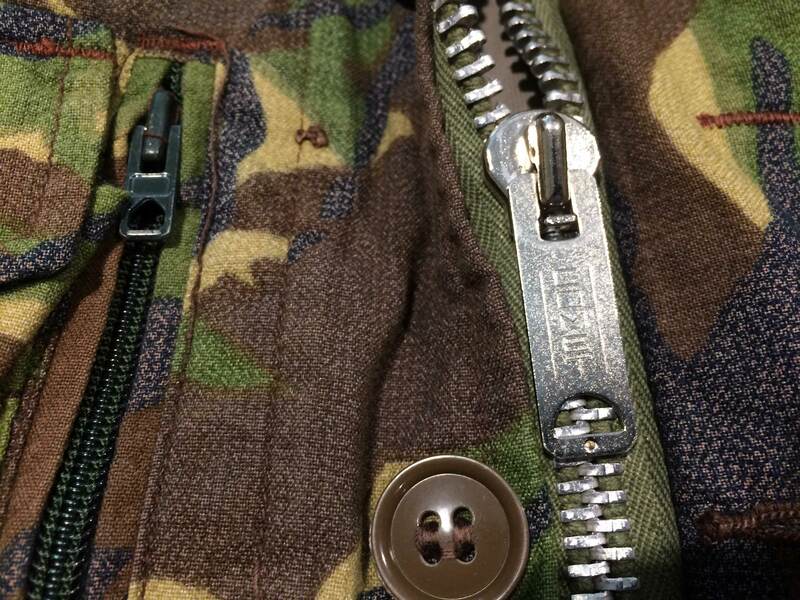 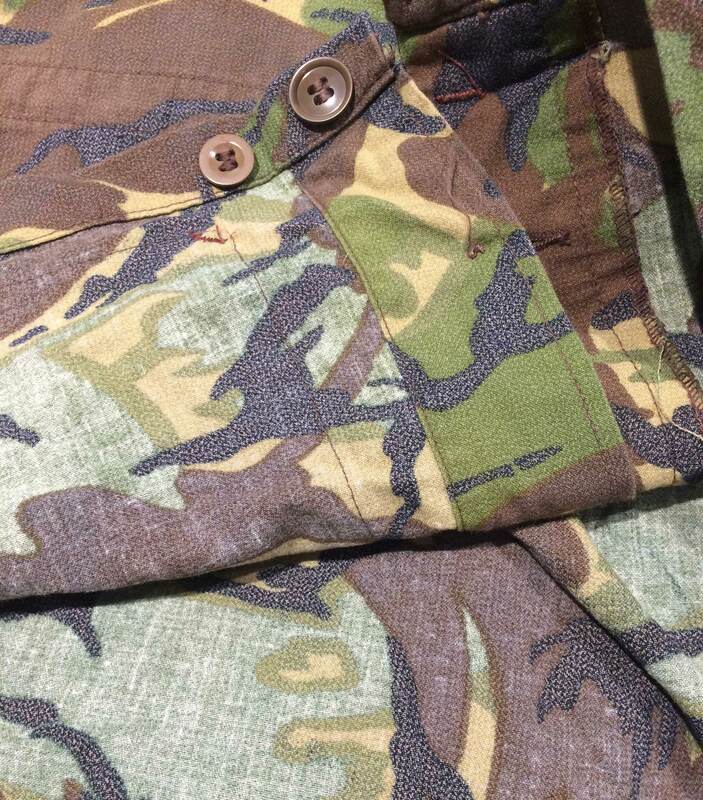 Thin fabric, in “Recce airborne smock” cut. 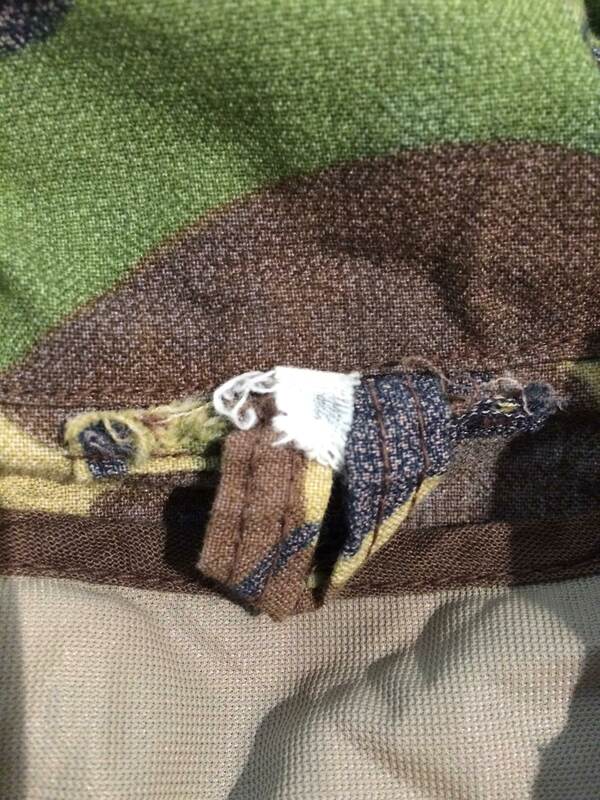 It is a copy of the DPM pattern trialed and not accepted by the Canadian military in the 1970’s. 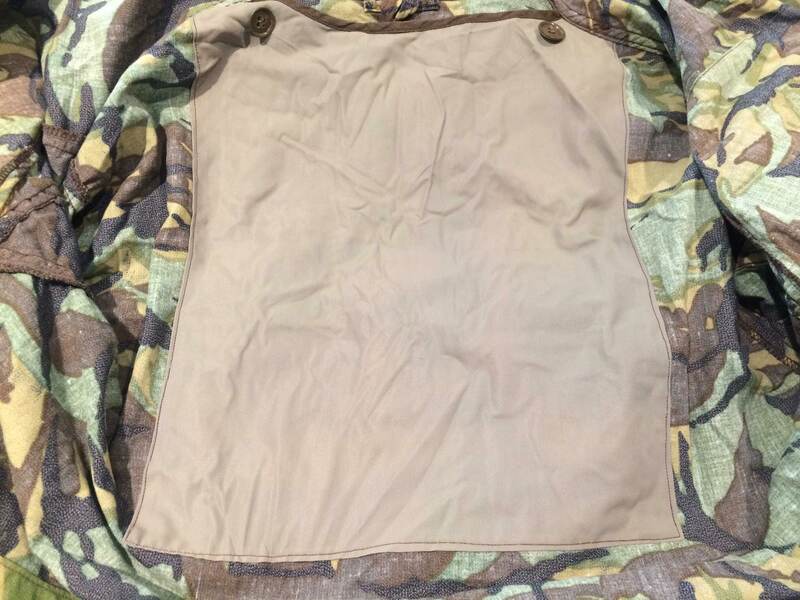 The black has a “salt and pepper” effect, unlike the solid colors in the British example. 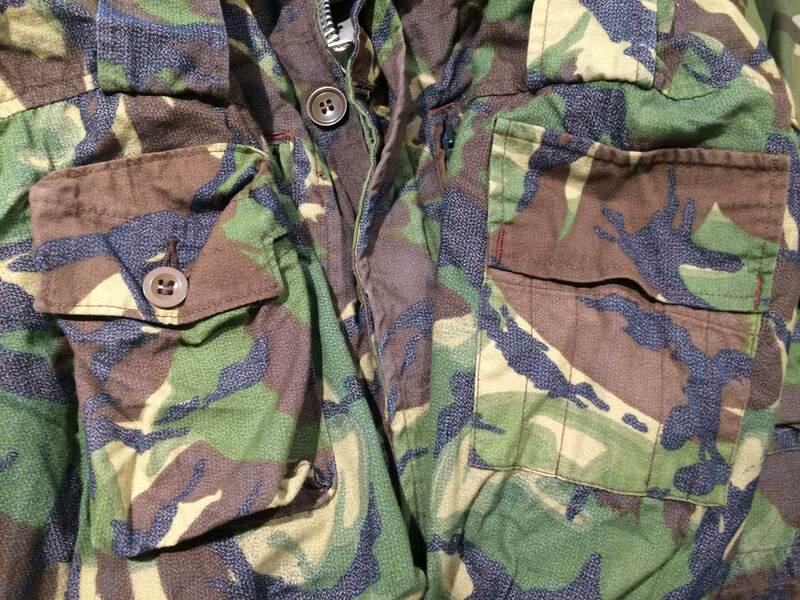 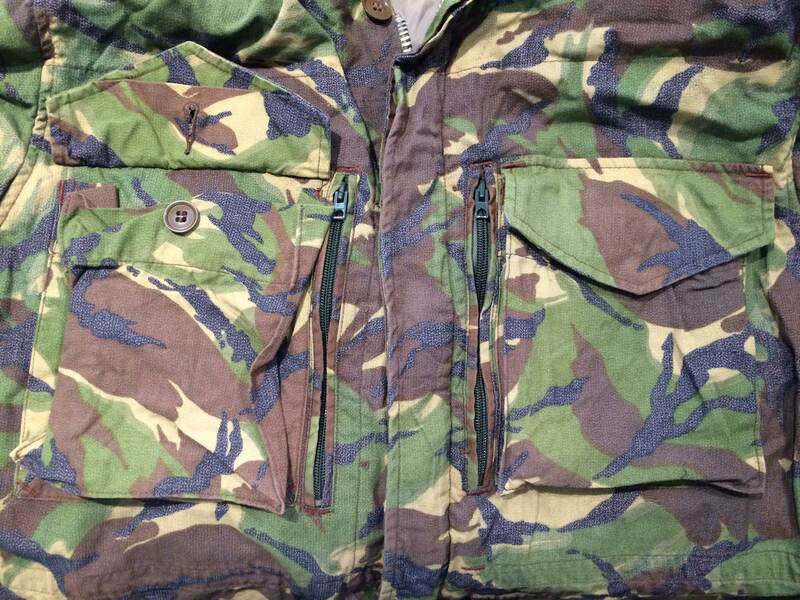 The real uniforms in this pattern were supposedly used by insurgents fighting against the SADF in the Border War.